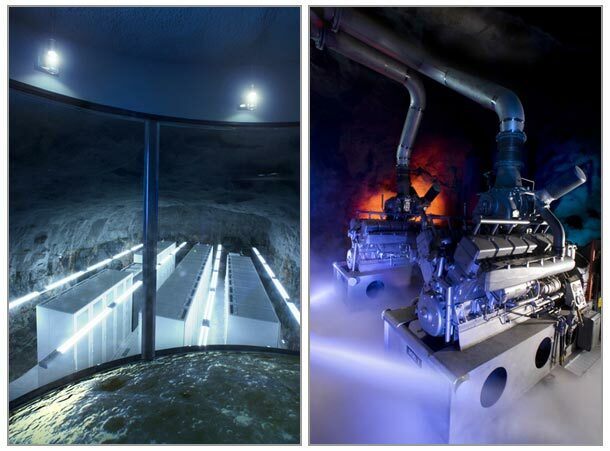 Underneath Stockholm, deep in the bedrock exists a data center better than any high tech lair Hollywood could probably dream up. Bahnhof, one of Sweden’s largest ISP’s has created a bunker of high tech goodness that is surely to astound. 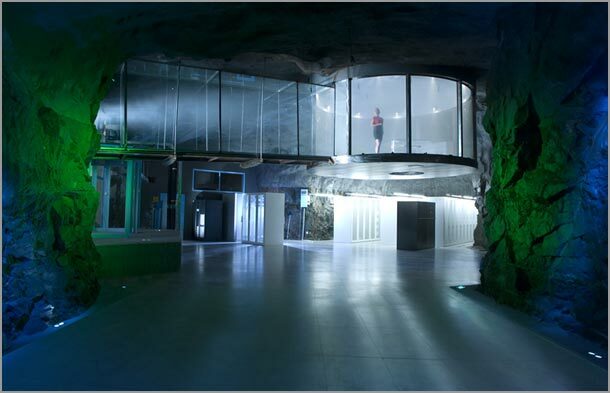 The facility is called Pionen and once you get past the 16 inch thick entrance doors into the once nuclear bunker now converted to a data center, the spectacular sights that await are simply breathtaking. Replete with waterfalls, greenhouses, German submarine backup engines, and simulated daylight this facility has the added benefit of being able to withstand an almost direct hit by a hydrogen bomb. The space Pionen now occupies was originally built during the Cold War era as a nuclear shelter. Located below 30 meters of solid bedrock the space was completely redesigned during 2007-2008. Now Boasting 11,950 sq ft of space it houses the Network Operations Center (NOC) for all of Bahnhof’s operations. 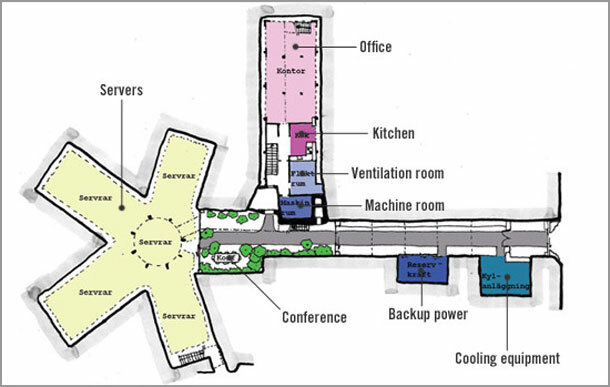 One of five data centers, it is the largest and is manned by a 15 member team of senior technical staff. Backup power is generated by two Maybach MTU diesel engines that produce 1.5 Megawatts of power and were originally designed for submarines. The cooling is handled by “Baltimore Aircoil fans producing a cooling effect of 1.5 megawatts” which is enough to cool several hundred rack-mounted servers. Triple redundant internet backbone pipes are split across fiber and copper and delivered via multiple physical paths into the mountain.